The animation entitled "Grazed and Confused? How much can grazing livestock help to mitigate climate change?" summarizes the conclusions of a Food Climate Research Network (FCRN) report published in 2017 and co-authored by DEVIL team members Pete Smith and Mario Herrero. Many studies have shown that greenhouse gas emissions from ruminants are high per unit of food produced. But there are claims that good grazing management encourages carbon sequestration and could thus benefit the climate. The report took a close look at cattle, grazing systems, greenhouse gas emissions and soil carbon sequestration and aimed to answer the question if grazing livestock can help mitigate climate change and, if so, by how much. 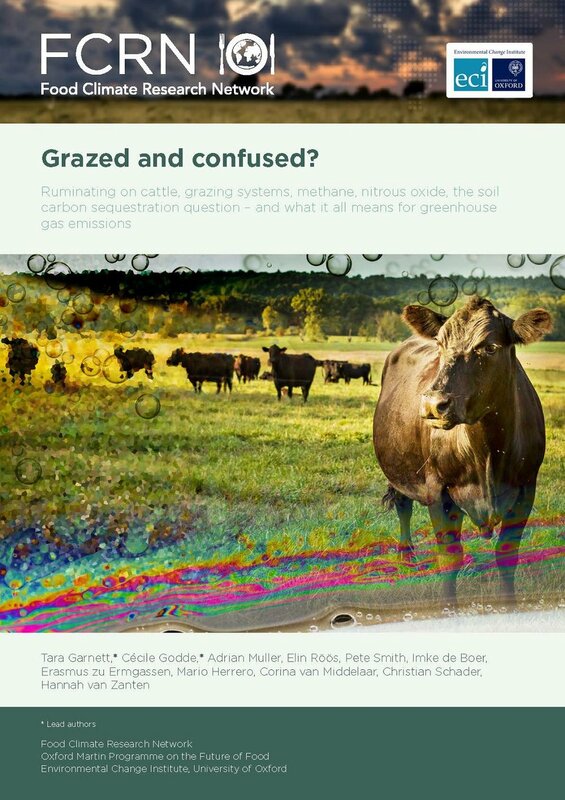 In their report, lead-author Tara Garnett and co-authors concluded that sequestration of carbon could indeed be boosted by good grazing management and under specific local circumstances. However, this effect is limited in time and reversible and cannot counterbalance the global greenhouse gas emissions of all livestock. Thus, grazing systems, with all their potential benefits and services, are net contributors to climate change and their mitigation potential is limited.